Are you ready to self publish a book and sell it on a site such as Amazon? Are you wondering how to make your one little book stand out (and generate sales) in the ocean of millions of book already available on the site? 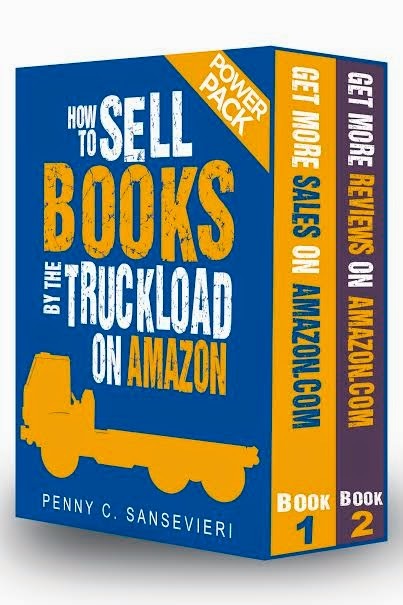 I recently had the opportunity to read and review How to Sell Books by the Truckload on Amazon by Penny C. Sanservieri. What did I think of this book? While I am excited to share my review--I am also excited to join a valuable giveaway from the author as well: Penny has agreed to give one winner a free Amazon Optimization Package from her marketing company, Author Marketing Experts, Inc. This package (valued at $999) would make quite a prize for an author in need of a marketing boost! Enter via the Rafflecopter entry form at the end of this post. I received a complimentary copy of this book for use in my review. All opinions and experiences are my own. This contest is not administered by A Mama's Corner of the World. We are simply posting a shared rafflecopter as part of the author's blog tour. Contest entries will be moderated by the author and/or her PR team and the prize will be fullfilled by them as well. Quick Summary of How to Sell Books by the Truckload on Amazon. Amazon wants you to sell a lot of books. And How to Sell Your Books by the Truckload teaches you exactly how to do it. Internationally renowned Amazon book marketing expert, Penny Sansevieri, has created the ultimate guide for mastering the Amazon marketing system. Sansevieri offers a lot of insights in a concise and useful format. This book is easy to read and details a lot of easy to understand publishing and marketing concepts. The author presents the book in short chapters, detailing the successful Amazon book sale from the beginning of the process of creating a best selling book idea to garnering valuable book reviews of the finished product. How to Sell Books by the Truckload on Amazon is a wonderful self publishing reference tool. This is the first book that I have read from Penny C. Sansevieri--and it is the first book that I've read on the subject of self publishing tips and marketing ideas for authors. I cannot say whether Sansevieri offers anything unique from similar books on the market--but, I can say that this power pack would make a wonderful resource for an author considering the self publishing process. There are so many helpful, yet often overlooked, tips in this book for authors ready to create and sell a new book. I do not have a book in the works--but, do plan to keep this book as a reference tool...just in case. Would I recommend How to Sell Books by the Truckload on Amazon by Penny C. Sansevieri? Successfully selling a book on Amazon is not just as simple as creating great content and listing the book! This book takes some of the mystery out of the self publishing process. While the book is very well written and organized, some of the graphics and screenshot images are a little small and slightly blurry in the print version of the book. They hold a wealth of information--so I was a little disappointed in the fact that they were not easy to read. Overall; however, I learned a lot from How to Sell Books by the Truckload on Amazon by Penny C. Sansevieri and would recommend it to anyone considering embarking on the self publishing journey--or to those seeing sluggish Amazon book sales and successes. 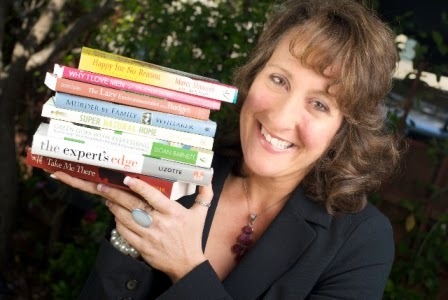 To learn more about Penny’s books or her promotional services, visit her web site.